For more than 20 years, Mitch Bahr (’96) has been impacting students through music in the classroom. His passion for students and music motivated his efforts to rebuild a music program, which led to the state recognizing him in 2016 when he was named one of five California Teachers of the Year. Bahr first became interested in music as a career in junior high school. Inspired by his band teacher, Robert Smith, Bahr decided that one day, he wanted to impact students through music in the same way he was influenced as a young man. Bahr’s journey to Biola began because his girlfriend, Carmen, was attending Biola. He was attending community college in Northern California and looking to transfer. As a brass player, Bahr performed in many Conservatory ensembles and worked hard to be part of some of the more competitive groups, like the brass quintet, led by Associate Professor of Music Composition and Theory Robert Denham. After graduating with a Bachelor of Music in Music Education, Bahr taught at Rancho-Starbuck Intermediate School in Whittier. He taught there for five years before moving back to Northern California to teach at Foothill High School in Palo Cedro. He has taught there for 16 years and currently teaches five instrumental ensembles: two jazz bands, two concert bands and a string orchestra, as well as many smaller ensembles including drumline, jazz combo and trombone quartet. When Bahr started teaching at Foothill, he had to do some pretty extensive program rebuilding, but his love for the students combined with a great deal of hard work have made the program a place where students learn and love music. 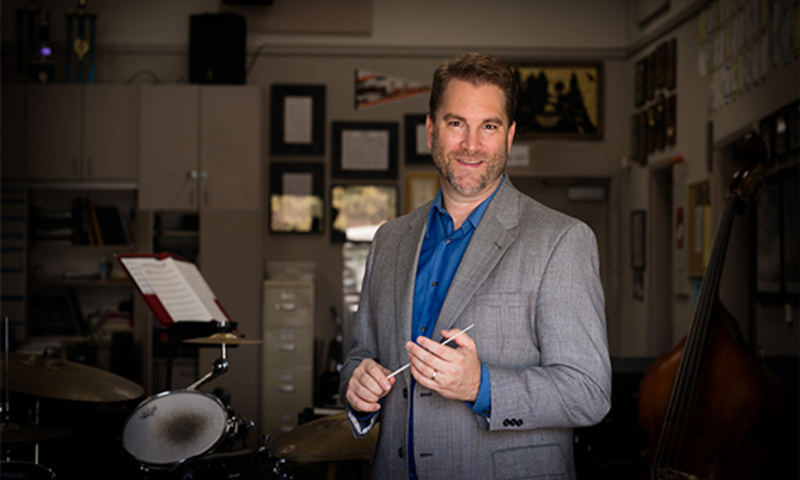 Bahr’s passion of investing in students has enabled him to build a successful music program at Foothill and empower many students throughout the state of California. To find out more about the Bachelor of Music in Music Education degree and the Conservatory of Music, visit the Conservatory of Music website.